The impression given by the 501(c)(3) tax-exempt Ludwig von Mises Institute that claims to hate government so much is that the Austrian School of economics has all the answers for what ails us, economically. But what do we find with a little digging into what prominent Austrian School economists and devotees themselves say? 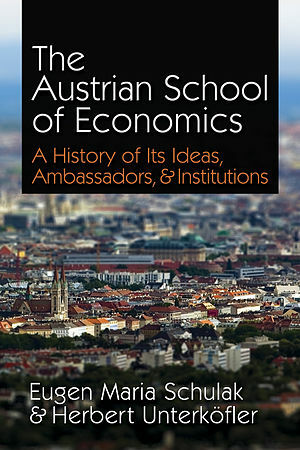 “Daily Bell: Is the logical outcome of Austrian economics the disappearance of the state? What an interesting admission, that Mises apparently didn’t hate the state enough — compared to Murray Rothbard — in not actually condemning particular government grants of monopoly. 3) Dr. Walter Block calls Gary North out on yet more mistakes! ” Major? In that article linked to where Block criticizes North, he even says more than once that his disagreements are minor! As per inflation, Mises came to respect Rothbard’s position on inflation. And who knew that scholars could disagree? Surely that disqualifies all serious schools of thought… As for the state, patents, etc… The “Austrian school” doesn’t have an official position on the state, policies, etc., being a school of economics, so surely there will be disagreements about these issues. your blog posts are disingenuous. I mean, heck, the author here is obviously trying to score points by saying the LMvI is tax-exempt. I don’t see how, since most people involved with LMvI strongly dislike taxes. What’s the point here? Oh, right, doesn’t have a real point, only appealing to the non-thinkers. I was hoping for serious debate on substantiative economic issues from this blog, but I realize it is just an attack blog. God forbid there are minor or even major differences between scholars.